One of the more horrific examples of “normalcy bias” is the Holocaust. Anne Frank is the face of the Holocaust, the face that most identify with when trying to grasp the horrors of Hitler’s Germany. “Anne Frank, The Diary of a Young Girl, “ offers poignant words that fill the readers soul with overwhelming empathy, compassion and deep rooted sadness. Anne’s carefree life quickly changed after May 1940. Anti-Jewish decrees followed each other in quick succession. Jews must wear a yellow five pointed star, hand in their bicycles, were banned from riding the tram, forbidden to drive, could only shop in Jewish stores between the hours of three to five pm and had to be in their homes by eight o’clock at night. They were forbidden to visit theatre’s, cinema’s and other places of entertainment. Jews could not take part in public sports; swimming, tennis, and field hockey were all prohibited. Jews had to go to Jewish schools and not associate with Christians. “It is as if the entire world had turned upside down,” Anne lamented. When Hitler began his oppression against Jews, Otto Frank, Anne’s father, moved his family from Frankfurt, Germany to Amsterdam, Holland. There he had an office and business that sold pectin, the powdered fruit extract used to make jam. When the SS sent the Frank’s a notice that Anne’s sister Margot was being “called up” the family quickly made plans to go into hiding. Anne packed a small satchel for her new life at the “Secret Annex”. “I began to pack some of my most vital belongings.” Her diary was the first to get packed, “But I am not sorry, memories mean more to me than dresses.” Then, as if she were going to the North Pole, Anne donned several layers of clothing that would become her modest wardrobe in her new life. The “Secret Annex” was comprised of a section of rooms on the upper floors behind Otto’s warehouse. With the help of his Christian co-workers, the Franks along with their friends the Van Daans who had a son named Peter, and Mr Dussel, a Dentist, eight in all, were to spend the next 25 months in hiding. Anne described what it felt like to disappear as “being on vacation in a boarding house.” In order to conceal their hideout, the group could not make any noise during business hours. They were forced to tread in stocking feet during daylight hours and not run any water. At night, they lived in fear of the neighbors discovering they were there, so primitive curtains were hastily made and hung into place. A cupboard was constructed to conceal the entrance to the Secret Annex and when unbolted, during very restrictive hours, the eight could utilize the rooms below, which included a kitchen. Anne achieved balance in her life by aligning herself with God and the beauty in her enclosed world. She found beauty in nature, the single oak tree that stood outside her attic window, and in literature and music. Mozart’s Eine Kleine Nacht Musik was her favorite. When listening to this important work of Mozart, you can visualize Anne twirling around in her homemade ballerina skirt, feel the brush of her skirt against your leg, see the sparkle of hope in her eyes, sense the freedom and love she felt in her rare, carefree moment in time. August 4, 1944. The Gestapo knocked on the cupboard door and penetrated the Secret Annex. On September 3rd, these eight were on the very last shipment of Jews to leave Holland. Anne died from Typhoid fever at a concentration camp. Today, hundreds of thousands of Christians are being persecuted for their religious beliefs and Christians and Jews alike are considered “infidels” who must perish. What have we learned as a society since Anne’s mature words of wisdom and desire for world peace? 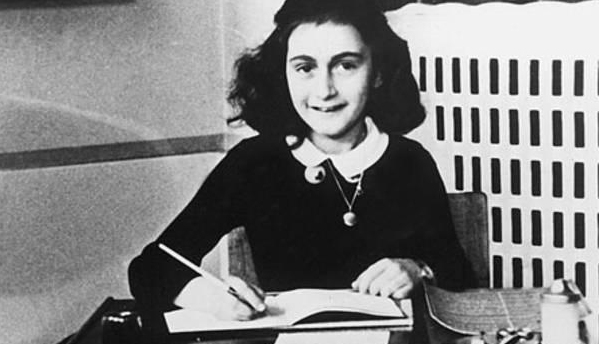 The horrors of war and loss of freedom should continue to be taught to our children through the diary of Anne Frank and every American must continue to fight so their own children will never have to suffer the same fate as Anne. May my best friend Anne continue to inspire the angels in heaven with her beautiful words of inspiration and bring comfort to the six million Jews who are there with her. Thank you Anne for your significant contribution to mankind. Yours, Kitty. The old familiar door creaked a bit every time it was opened, a sign of it’s use and age. It was the entry to a brown clapboard neighborhood grocery store, Paul’s Market, that had flourished for half a century, even though almost hidden and nondescript between the brown clapboard middle class homes that surrounded it. At one time it was called Frank’s Market, but then Paul bought it and his name was not Frank, so it was renamed Paul’s. The neighbors did not need a neon sign or elaborately decorated window to know that it sold all the foodstuff they would need to satisfy their daily meal planning. Upon entering the compact store, my mother would be standing at a small steel cash register, her sparkling blue eyes ready to greet everyone who entered with a warm smile and hello. She would then wipe the flour sack apron that was tied around her waist and suggest that some chuck roast had just been ground and two pounds would make enough Swedish meatballs to feed and delight their entire family. The customer would perk up, happy their meal worries were over and say that sounded great! My mother, proud of her salesmanship abilities, would then proceed to write down the recipe for them onto a brown paper bag…the one that would soon hold two pounds of ground chuck. Then, with a wink, my mother would suggest that a can of corn, mashed potato and fresh green beans would go very nicely with it. As the customer got to the very back of the store, Paul, my father, would suddenly poke his head out the open doorway, beckoning them to the fresh meat and seafood department, a narrow back room that consisted of a walk-in refrigerator and a three inch thick butcher block table that spanned the entire length of the wall. Perched on the end of the table was a large stainless steel meat grinder and tucked underneath the counter was a small stool, so that when asked, I could help grind up some hamburg for that day. I loved putting a hunk of meat into the funnel shaped opening at the top and watch as the meat came out the bottom chute, like big blood red strands of wiggling spaghetti. It was much more fun than my other job, restocking the shelves. Extra cans of everything were in the basement below, down a set of rickety stairs, and the dark gloominess seemed a mile away from the cheery atmosphere above. My favorite job at Paul’s, was delivering groceries. The surrounding neighborhood was a beehive of humanity and Paul’s was the cohesive honeycomb, the sweetest spot in town, where everyone gathered and shared the day’s news, at a time when the internet did not exist and communication was still done the old fashioned way, by word of mouth. I listened in on many a conversation and learned that what was being whispered was not said in a gossipy way, but rather in a helpful way to quickly learn of the latest “goings on” in town. Paul’s became a place to mourn someone’s death, celebrate a birth or even just have some friendly chatter when feeling alone and out of sorts. My goodhearted parents were great listeners and always there when someone was sick and needed help. They would be the first to call old Mrs. So and So who had just fallen to see if she might need some groceries hand delivered to her front door step. That is when my ears would perk up because I knew that hand delivering meant I would soon be out the door armed with bulging brown paper bags filled with food items that were desperately needed right away. I was used to walking everywhere; school, church, the library and the doctor, never needing to worry about gaining weight from mom’s Swedish meatballs with mashed potatoes, and enjoyed the walk almost as much as the greeting I would receive once arriving at the recipients house. They were considerate deliveries and my errands would always be rewarded with grateful hugs. While walking back to the store, I always felt happy that I had been able to help, in my own special way, a person in need. That feeling of contentment lingered for the rest of the day and prompted a smile on my lips at the most unexpected times. Perhaps that was my first brush with learning that unselfish deeds were so selfishly rewarding and that caring neighbors offered the palpable love that kept our town’s heart ticking, alive and well. In stark contrast to community caring and love, Saul Alinsky, a Marxist from Chicago, created a much different model for community life, a concept he coined “community organizing” a clever euphemism for community communism. Alinsky, who wrote “Rules for Radicals,” and dedicated his book to his favorite radical, the devil, did not focus on transfusing good back into the community, but rather focused on sucking it dry of all its underlying goodness, hope and promising future, a future called the “American Dream.” His communist model instead relished the “redistribution of wealth” or in layman’s terms, the taking of wealth from the hardworking middle class and giving it to the lazy, government dependent, underclass. He became the master puppeteer who trained his community operatives how to pull the strings of jealousy, race, and class warfare in order to obtain his nefarious quest for power. Barack Obama, who was hustled back and forth from Africa to America during his childhood, was never part of a functional family or community. His high school days in Hawaii were spent experimenting with drugs, not neighborly love, therefore, the Marxist, Alinsky model played right into his greedy hands; to him, community organizing was fair game in an America that he had never bonded with and the fast track tool to help him achieve his political ambitions. Are America’s neighborhood’s any better off now under Obama’s, agnostic “social justice” programs and community organizing? That question can only be answered in truth by our neighbors. My neighbors are moving after losing their homes, trying to find low rental apartments or moving in with family; my neighbors are buying whatever is on sale at the supermarket and making their short grocery list last a week; my neighbors are no longer going on weekend getaways or vacations because they can no longer afford the gas; my neighbors are losing their health insurance and good doctor’s, wondering how they will be able to afford the new insurance tax being levied upon them; my neighbors are losing their full time jobs because their employers cannot afford the new “affordable” Obamacare; my neighbors are being audited by the IRS because they are active conservatives; my neighbors are veterans who proudly served our country and are now watching as their benefits are being diminished and used as political bait; my neighbors now have to think twice before hanging the American flag or displaying a cross in front of their own homes for fear of reprisal and fines; my neighbors are watching as America’s sovereignty is slowly slipping away and being handed to the United Nations; my neighbors are being spied upon at every street corner and traffic light; my neighbors are stocking up on supplies, waiting for the next false flag event or manufactured “crisis”; my neighbors are buying guns and ammunition because they no longer trust our tyrannical government. Who will get us out of this mess? Can we trust and depend on bullying community organizers or slumlord-like bureaucrats who are blind to the needs of “We The People?” The answer can be found in our neighborhoods. My neighbors are tithing their very sparse spending money at their local churches so as to help the most needy among us. My neighbors are making sure that the family whose home burned down last week has a place to live. My neighbors are volunteering to work in the food banks and soup kitchen’s to feed an ever increasing poor population. My neighbors are busy knitting scarves and hats for those who cannot afford the basic necessities of a cold winter. 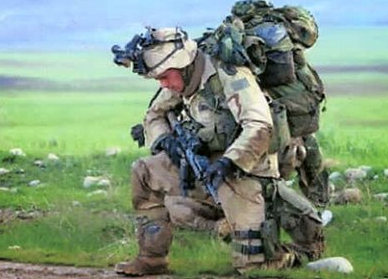 My neighbors are risking their lives and serving in the military to help keep us free, in spite of a Commander-in-Chief who has injected the Pentagon with the enemy. My neighbors are standing in front of Planned Parenthood clinics, praying that our government puts an end to its purging of God and the abortive murder and stealing of America’s future. 2014 will be a banner year for the righteous transformation of America and my good neighbors are the heroes who will make that happen. One of the greatest pleasures of the Christmas season is to watch the classic Christmas movies of yesteryear that portray fictional examples of an American culture that embraced community spirit and human kindness. White Christmas, Miracle on 34th Street and It’s a Wonderful Life all depict tales of American citizen’s concerned with the simplicity and goodness of life. In “It’s a Wonderful Life,” George Bailey, played by Jimmy Stewart, is a hometown boy from Bedford Fall’s who gives up his dreams of travel and big pay check to carry on his father’s local banking business, the Bailey Building and Loan Association, vital to the well-being of the townspeople. George feels a tremendous responsibility to help his community and one of the ways to accomplish that was to supply the funds to help build Bailey Park, an affordable housing project. Meanwhile, George’s greedy slumlord and Board member, Henry Potter, aggressively tries to shut down the bank in order to take control of the town for the sake of his own wealth, power and personal advancement. Through a series of unfortunate circumstances, George is faced with financial ruin and the faulty accusation of bank fraud. George becomes suicidal, but is saved by his guardian angel who demonstrates to George all the good he has done for the people of Bedford Falls and how all his beneficial acts affected their lives in a positive way. George joyously runs home to where the authorities are waiting to arrest him, but where he is instead met by a flood of townspeople who bring enough donations to save George and the Building and Loan. George is toasted as “the richest man in town” and realizes that he truly has a wonderful life. The George Bailey story is one of a man who worked hard to get ahead, not at the expense of others misfortune, but instead by performing charitable deeds that would help enrich his neighbor’s lives. 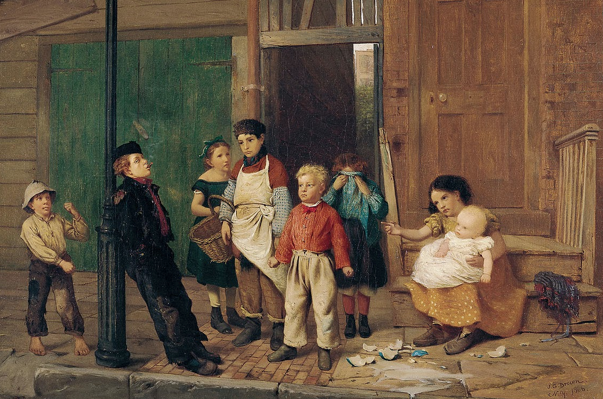 There were no blanket monetary giveaways meant to buy the townspeople’s admiration and respect. George treated the community like family, knowing firsthand that one’s dignity and self-worth are the keys to a wonderful life. The story is one that played out time and time again in America, when leaders were born and brought up in small town, rural America, leaders who worked alongside their neighbors, felt their pain, watched their children grow, buried their soldiers, had tears in their eyes at the Fourth of July parade. These simple human stories of compassion and integrity were what made America great. A recent article “Rural Banks Know Something Big Banks Don’t” written by Brendan Greeley for Bloomberg Businessweek, reveals that community banks thrive in an otherwise depressed, over regulated banking environment. Commonsense business plans prevail at these community banks who use $1 billion in assets as a cutoff for their definition of being a community bank. In rural counties, community banks still hold 70 percent of deposits and do a better job at what banks were initially set up to do, underwrite home mortgages and loans to farms and small businesses. According to the FDIC, in every five-year period since 1991, a lower percentage of loans from community banks has gone bad. Richard Brown, the FDIC’s chief economist says small banks have a competitive advantage with “nonquantitative” information (think George Bailey) of their customers and local economy. America, now more than ever, needs unselfish, morally responsible leaders willing to set aside their own personal advancement, for the good of the people; folks from Main Street America who were brought up to know and help their neighbors, who understand that a small town business model and ethic, rather than a behemoth government catchall of onerous regulations, is the only way our nation will begin to heal, get healthy, and stay healthy. 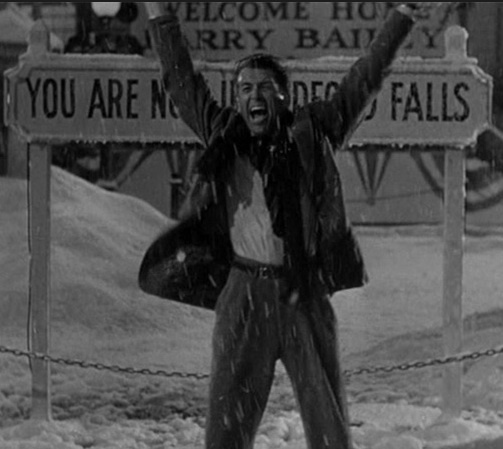 May the George Bailey’s among us win the 2014 elections, Americans who truly know what a wonderful life is all about.